We could spend the entire tour in Columbia. There's so much to see here, but we really need to move along. So, before we leave the capital city, here's some Columbia potpourri. 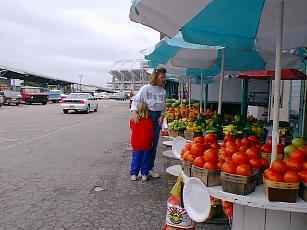 Fresh fruits, vegetables and plants arrive daily at the largest produce market in the southeast. Don't those tomatoes look yummy? Joe, do you see any potatoes here? In 1955, the Columbia Fire Department Headquarters moved to a new building. 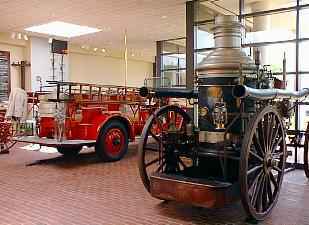 The front portion of the building is dedicated to preservng Columbia Fire Department memorabilia. 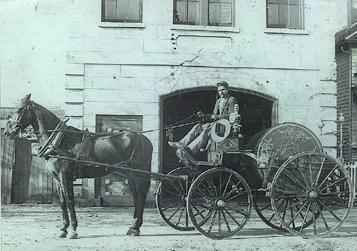 This is a picture of a City of Columbia volunteer fireman and equipment in 1890. The SOUTH CAROLINA JUSTICE HALL OF FAME was dedicated in 1980 to honor South Carolina law enforcement officers who died in the line of duty. 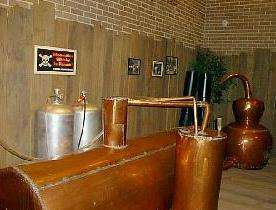 This MOONSHINE STILL is on display here, along with a Cell Block One prison cell from the Central Correction Institute. 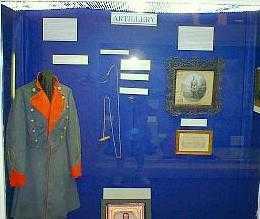 The CONFEDERATE RELIC ROOM AND MUSEUM is one of the best museums of its type. 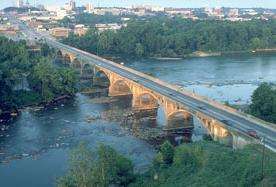 It was established in 1895 to honor South Carolina's Confederate veterans. 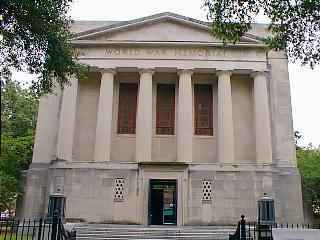 THE WORLD WAR MEMORIAL BUILDING, built in 1935, honors South Carolina's World War I veterans. 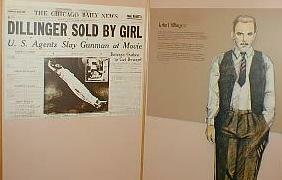 It also houses the Confederate Relic Room and Museum. This impressive building is the SOUTH CAROLINA STATE MUSEUM. It allows visitors to experience the Palmetto State from the mountains to the sea in one building. Here's an interesting fact: The museum is located inside its largest artifact - the Columbia Mills Building. 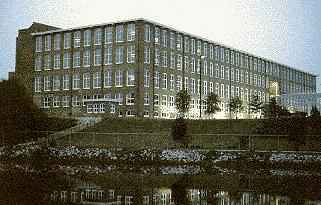 The mill opened in 1894 as the world's first totally electric textile mill. HARBISON STATE FOREST is over 2,000 acres of wooded forestland. 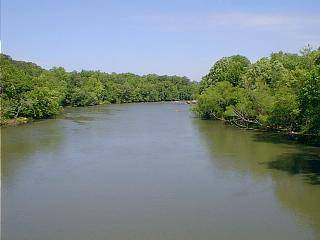 It features over 16 miles of trails for hiking and bicycling. 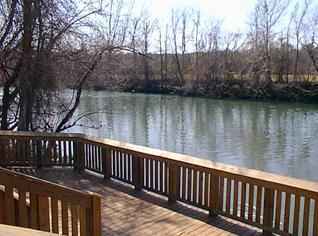 This is SALUDA SHOALS PARK, located on the banks of the lower Saluda River. Most of the land is densely forested. 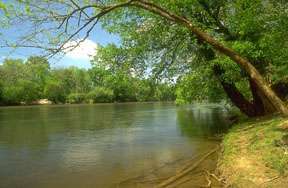 This section of the river receives South Carolina's highest water quality rating. Well, Drifters, it's time to mosey along. I hope you've enjoyed visiting Columbia. If you'll just click on the little state map below, we'll be off.